It is not a hair power dry shampoo. Most dry shampoos contain powders that users would inhale. Powders are messy to use; and they can clog follicles and cause folliculitis. Cleans away dirt and oil more efficiently. Help stops itching and gets rid of dandruff. You can use many times than the normal aerosol spray. Cleans quickly and leaves no residue. Natural multiple essential oils for good health. Good Hair Care: Contains an European Union EcoCert certificated organic ingredient--Organic Sambucus Nigra flowers( Nibì ) which have anti-itching and nurturing properties. 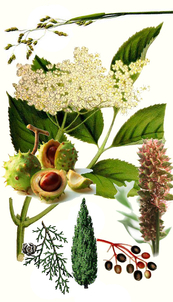 The fragrance is derived from natural essential oils and fragrances. Ingredients are not tested on animals. Not contained in an environmentally harmful aerosol spray bottle. 1. Remove cap from mouth of the bottle. Squirt Fáciaño dry shampoo directly onto hair and scalp. Start with a small amount of product and use more as required. Use an adequate amount to clean the hair while avoiding getting it overly wet. But if you don't feel cleaned enough, go ahead to apply a lot. 2. RIGHT AWAY before it gets dry, use a towel, napkin, or tissue to scrub the hair. A towel works better. If your hair is very dirty, and you rub before the shampoo gets dry, the oil might still stay on hair. Rub until your hair is dry if you don't feel cleaned enough.But if you don't have time and your hair isn't too dirty, no need to rub until it's dry. 3. Brush hair with a comb. 4. If you have styling product on, the dry shampoo may be hard to clean. 5. If you don't use a towel or napkin to rub away the dirt and oil, it may prevent complete removal of oil. 6. Apply more dry shampoo based on your hair condition. Use more on scalp if you feel itchy. Cypress Essential Oil: Improves blood circulation,activates and nourishes scalp. Propanediol:Ecocert approved natural ingredient for moisture, no stimulation & low allergy.